According to the ancient art of ornithomancy, a lady can turn to birdwatching on St. Valentine’s Day.. 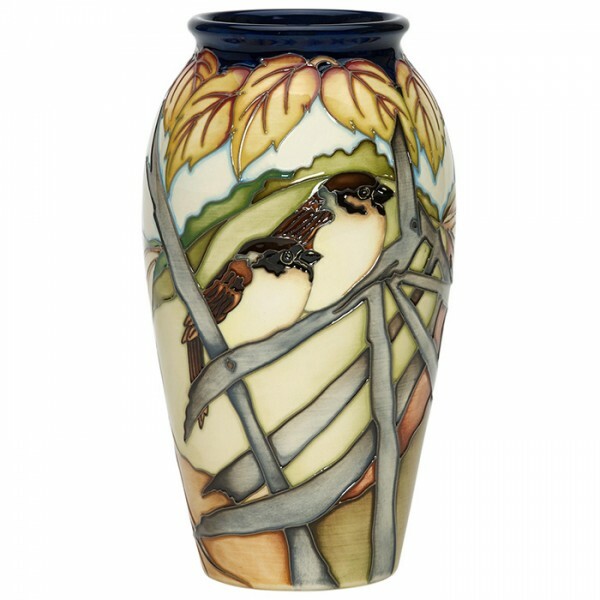 The Senior Designer at Moorcroft has always been strongly attached to spring flowers and high on the..
Each year Nicola manages to delve deeper into the mysterious depths of the Glasgow Art Movement and .. According to folk tradition, giving Edelweiss to a loved one is a promise ofdedication - the perfect..
A sweet design which sees innocent swirls of tubelined calligraphy to spell out the word ‘love’ with..